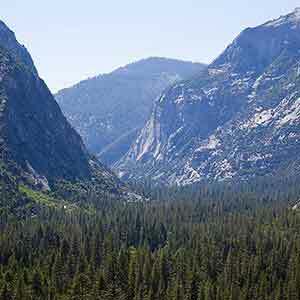 The area just north and east of Frasier Mill Campground has some nice sequoia scenery. 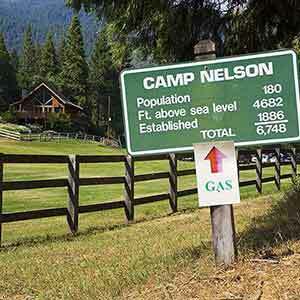 While the campground itself has been clearcut of its sequoias, much of the surrounding area is still in good condition. Although there are occasional small stumps, the overall appearance is similar to old-growth groves. Park in the large pullout opposite the Memorial Trail access road. 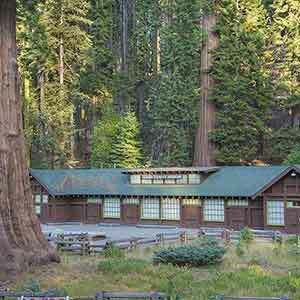 There’s a group of three big sequoias next to the pullout, including one (the Hercules Tree) that was converted into a small house. Walk down the road to reach an unmarked but well-defined trail opposite Frasier Mill Campground. 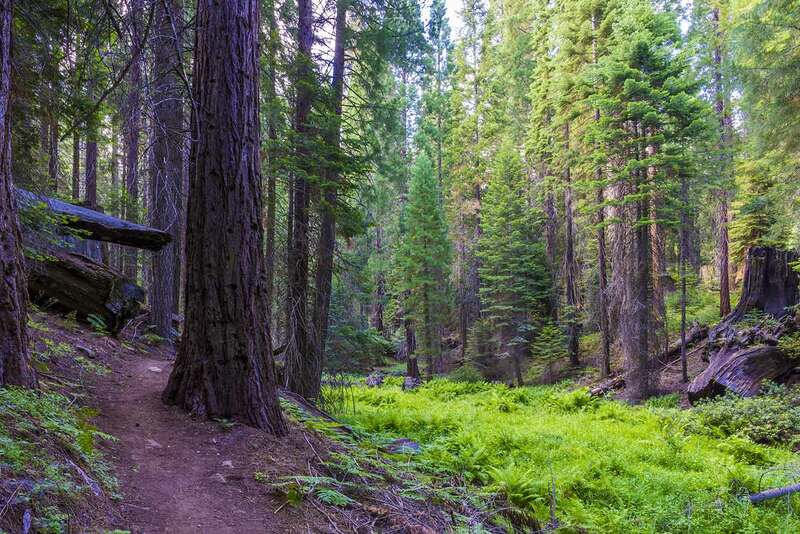 The trail initially climbs through heavily-logged woods and passes a tiny meadow. 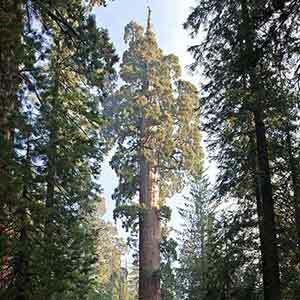 As it climbs, the logged woods gradually give way to healthier-looking, more scenic woods: first the sequoia stumps give way to living sequoias, then non-sequoia stumps start to disappear as well. 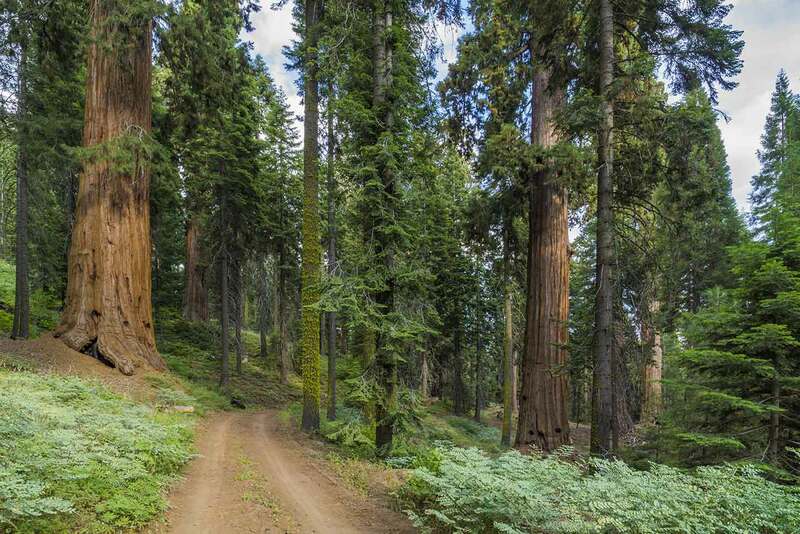 The sequoias are on the small side, but there’s a nice cluster of them as the trail nears the first intersection. 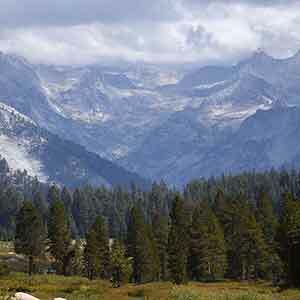 The forest has a relatively open appearance typical of high-elevation sequoia groves. When you come to an unmarked intersection, turn right. The dead-end trail ahead has a few more yards of scenic sequoias, but after that it isn’t especially interesting; it levels out and the sequoias peter out just before the trail comes to a small hilltop clearing. 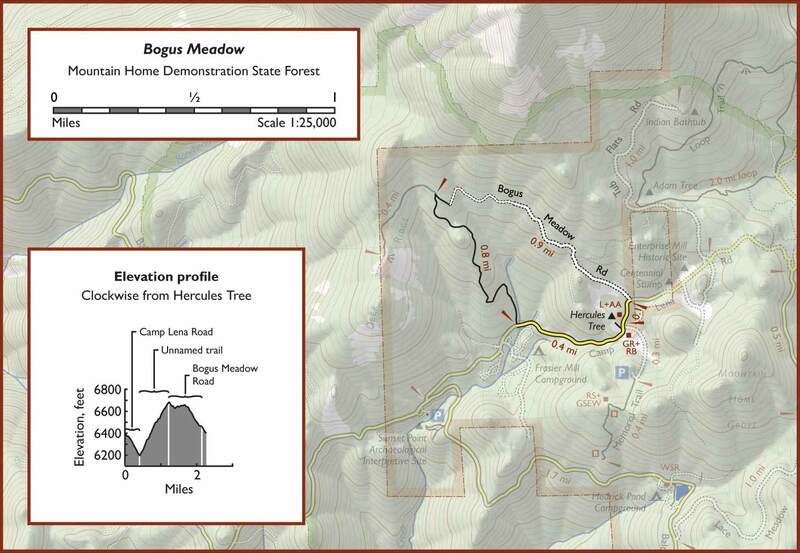 The clearing isn’t really a meadow, which presumably explains the "Bogus" part of its name. The short intersecting trail leads to a dirt logging road. 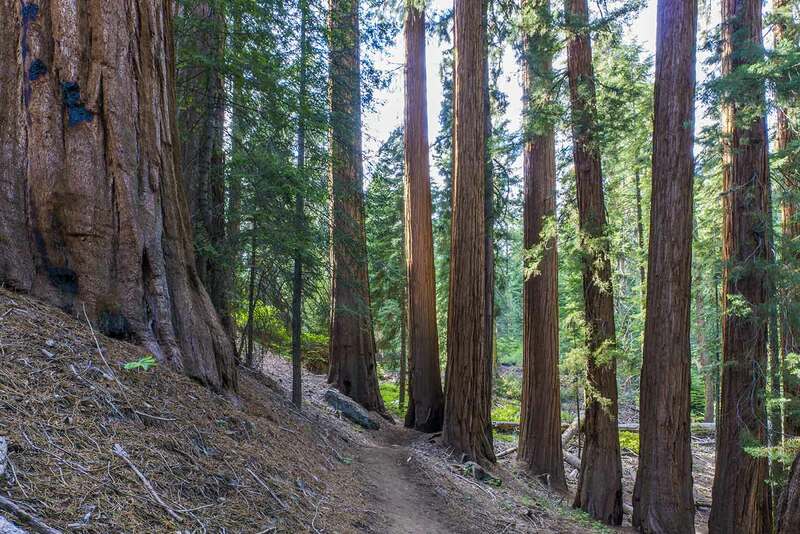 Although the woods along the road have clearly been logged and have less of an old-growth appearance than the singletrack trail, the sequoias are much bigger than they were along the singletrack trail. The road starts out rough and narrow but soon gives way to a wider, smoother, drivable road. 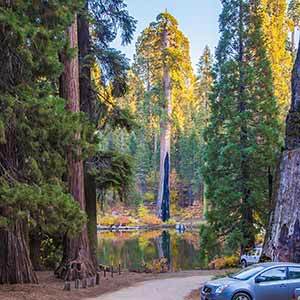 Some of the best sequoia scenery appears just after the road becomes drivable. Near the bottom of the road there’s another stretch of impressive sequoias in an area that’s been left unusually open by logging of other species, leaving the big trees exposed. 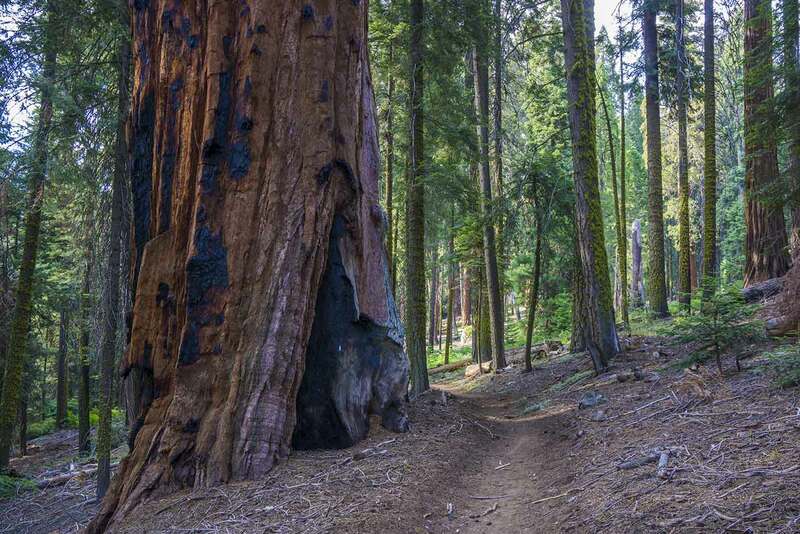 Alert hikers may notice an unofficial trail to the left; it leads through non-sequoia woods to the huge Adam Tree. Take the paved road back to your parking spot. 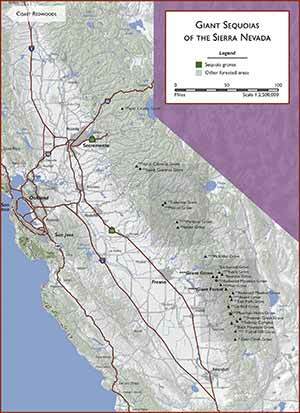 This is a pretty nice stretch of road, with large sequoias set among a lush understory. 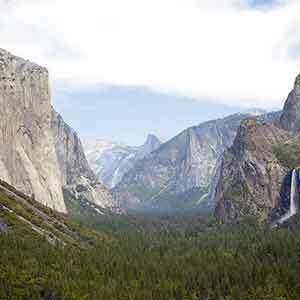 For a little more hiking, walk or drive up the access road to the Memorial Trail; the first short quarter-mile of the trail passes through a scenic sequoia-filled ravine.